1. City Posters by Ork. Let your man's passion for his home town thrive while you up the style quota on his bachelor's pad. 2. Homage Tees, for the sports fan in your life that already has too much gear. These throw back tees are perfect for any guy with additional options available for colleges, pop-culture, and even famous eateries! 3. Shop Patagonia for name brand gear without spending a fortune. The secret? 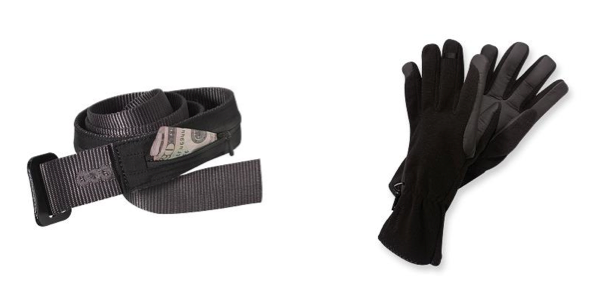 Check out the novelty items like this Travel Belt with a storage space for valuables or Windproof Gloves, now 50% off! 4. Beef up your man's movie trivia with a box set, sure to entertain. Whether it is Godfather , Sci-Fi , or Die Hard that fuels the testosterone, these gifts look like they cost more than you actually spend - bonus! 5. For the culinary expert meat lover, gift sets of spices, seasonings, and sauces could be a big hit. 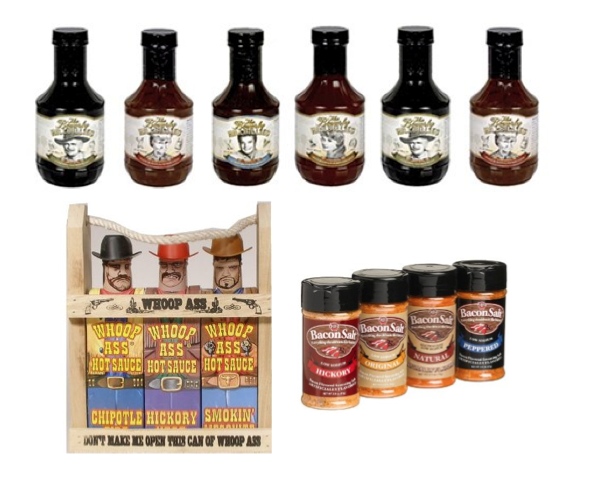 Here are a few classics, sure to inspire a feast: BBQ Sauce , Hot Sauce , and Bacon Salts . These sets are so affordable, you might even want to throw in a book like, "Bacon: A Love Story ," for comedic affect! Did you like the ideas you saw here? 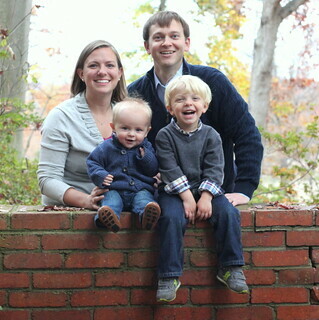 Over the next few Fridays, (or until the baby arrives) I will be posting gift ideas for everyone in your life! Have a specific person you are looking for? Leave a comment and let me know so I can be sure to consider your special someone! Great ideas! 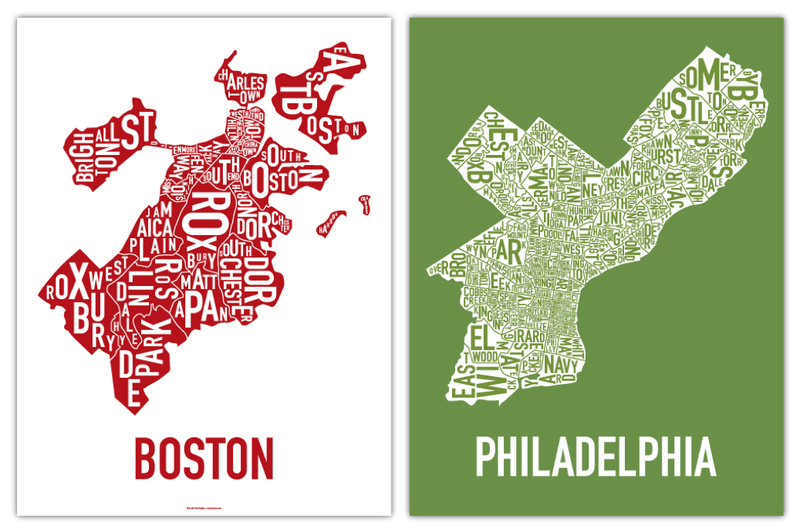 How about top five food gifts you can ship to hungry eaters who live across the country? Rebecca, I am posting gifts for Foodies next Friday, November 19th. Be sure to check it out!